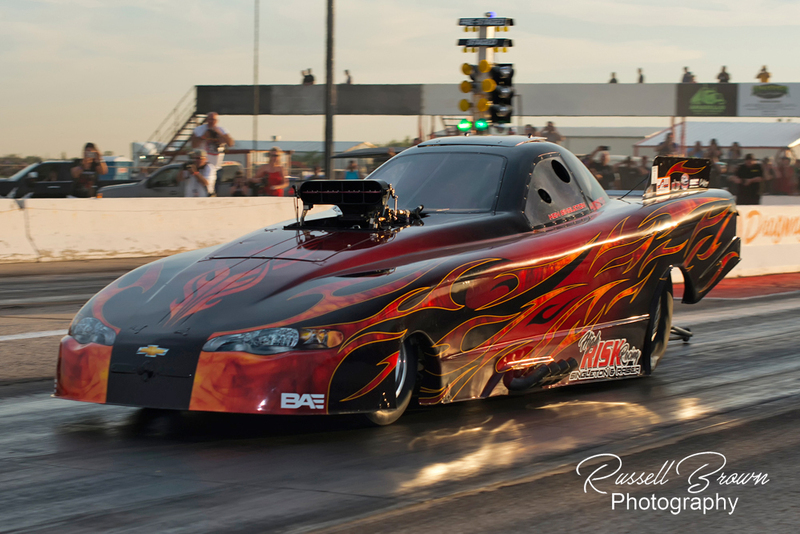 Funny Car Chaos Preview - Everything is Bigger in Texas! With 28, yes twenty-eight, Funny Cars entered into Funny Car Chaos September 14-15th at North Star Dragway, the stage is set for what will be the biggest funny car race in decades to be hosted in the lone star state. This event will mark the fifth Chaos event for the new 'outlaw' series that debuted in Denton, Texas in the fall of 2017. With it's no rules approach to engine combination and body styles, flopper teams from across the country have found a home in this unique take on funny car competition. Eleven states will be represented within the 28 car list of pre-entries which includes Ronny Young's "Blue Max" making its first appearance of the year. Also on the bill is the Nevada based "Little City Cuda" of Chris & Mike Morel, the Colorado based "High Heaven" of Keith Jackson and local Texas hitter John Hale in the "One Bad Texan". This event will also mark the exciting return to funny car competition for 2017 U.S. Nationals Top Fuel runner up Kebin Kinsley who has been on a five year hiatus from FC racing in his "Wild Child" Mustang bodied fuel coupe. Filling the action between rounds will be the largest ever field of Dirty South Gassers as over 65 teams are pre-entered for some heads up old school match racing action. 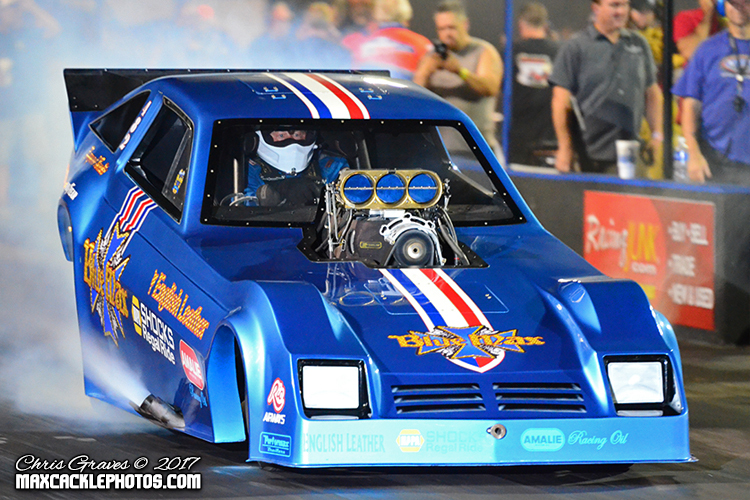 Ken Singleton's "High Risk" TA/FC team is looking to return to action after winning the 'A' field at the first two events of the year at Mo-Kan Dragway and Amarillo Dragway. 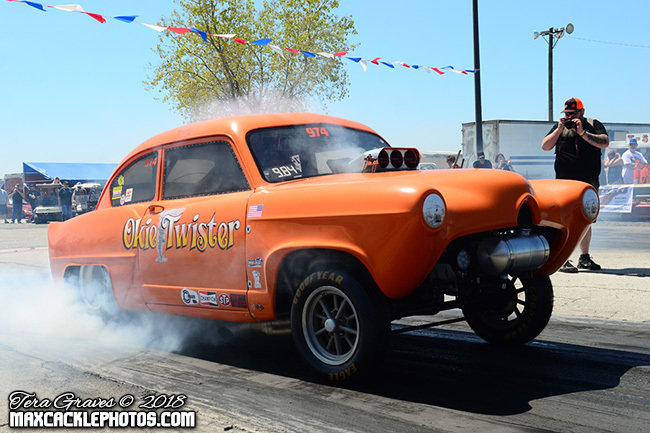 The most recent event held at Central Illinois Dragway was won by Mike McIntire Jr in the 'A' field and the date for next year's return has Illinois been confirmed for July 26-27th, as Funny Car Chaos will headline the track's 50th Anniversary celebration! 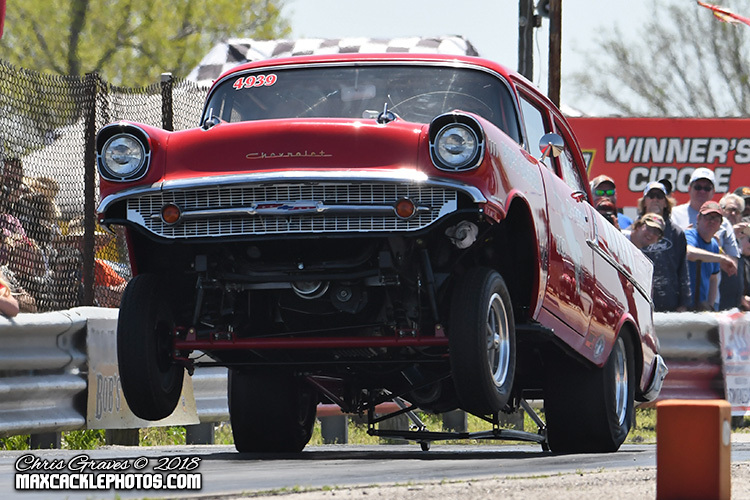 Bookings have been confirmed for returns to Mo-Kan Dragway and Amarillo Dragway in 2019 with dates to be announced soon.